Hi!! I love this. How light was your hair before you put this on it?? I have been trying to achieve silver for such a long time and this colour looks great! 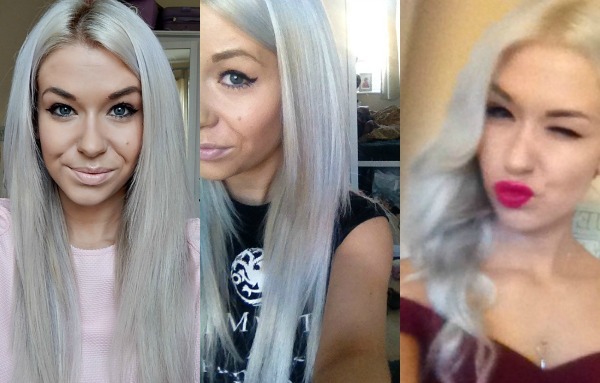 you say you have to dye your hair every three weeks, does the colour fade then? I would have thought it wouldn’t fade that fast being a permanent dye? What bleach do you use ? I love this color on you! I have platinum hair as well, but I just use toner, so it’s a lot more yellow-y, and it drives me nuts! I’m always worried that if I tone it too much, it’ll turn out grey, which wouldn’t be too flattering on my skin tone. Platinum is so fun to have though! I recently dyed my hair using this dye, and absolutely loved the colour which it turned out. However when I applied heat to it eg a curling iron my hair tinged a pink colour? I was wondering if anyone else found this? 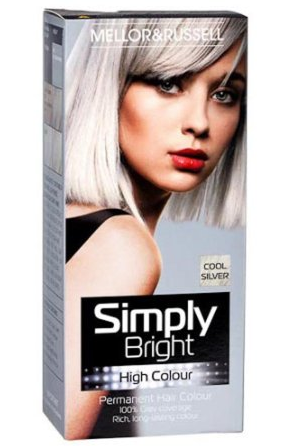 I have two boxes which I am planning on using today but I need to know things, will it lighten my hair to the same tone as I have darks roots going downto white ? And will it fade ? Just incase I really dislike it I don’t want to have to re bleach.